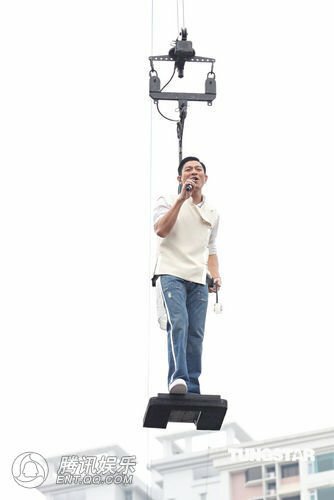 To celebrate the 10th Anniversary of the Macao SAR Government, Andy Lau held a concert at Macao Stadium yesterday, he even performed hanging on wires. Andy quipped that it would be great coming to Macao for concert for the Macao SAR Government anniversary every year. It is said that the concert is a present to the Macao resident by the Macao SAR government. The ticket of the concert is priced at 200 MOP but local resident could have discount till each ticket cost 50 MOP. With such cheap ticket price, many resident brought the whole family to watch Andy’s concert. Other than young couples, you can see audience range from the age of 5 – 70 years old.